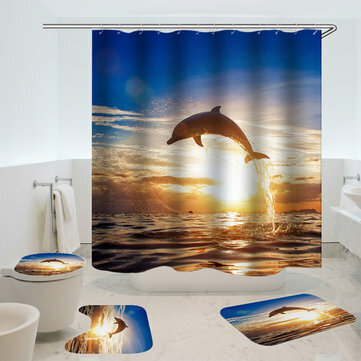 - Add shower curtain to your bathroom for a little fun. - It's colorful and tranquil design will set the right tone so that you can start your day off right. - Also this shower curtains is excellent for windows as well. - Made of 100% high-quality polyester. - Waterproof and mildew proof. - Unique design and digitally printed vibrant colors which can decorate your bathroom. - Environmentally friendly, no dye substance will harm the health of your family. - Soft and comfortable handing feeling.Machine wash.Do not bleach or tumble dry. Shower curtain and non-slip rug three set are sold separately.